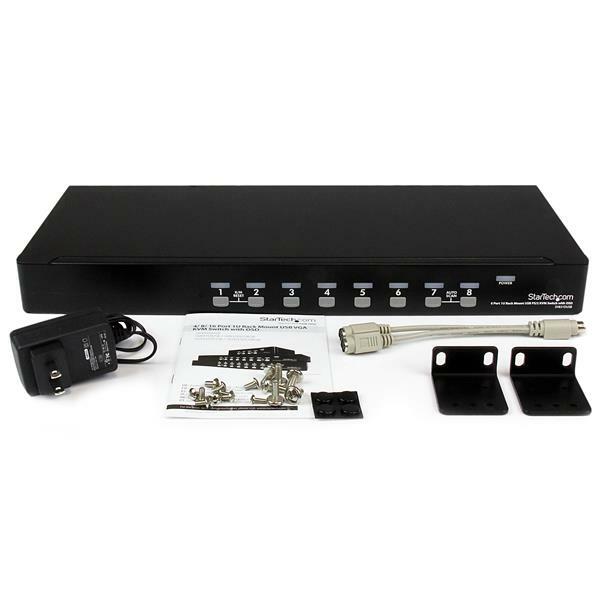 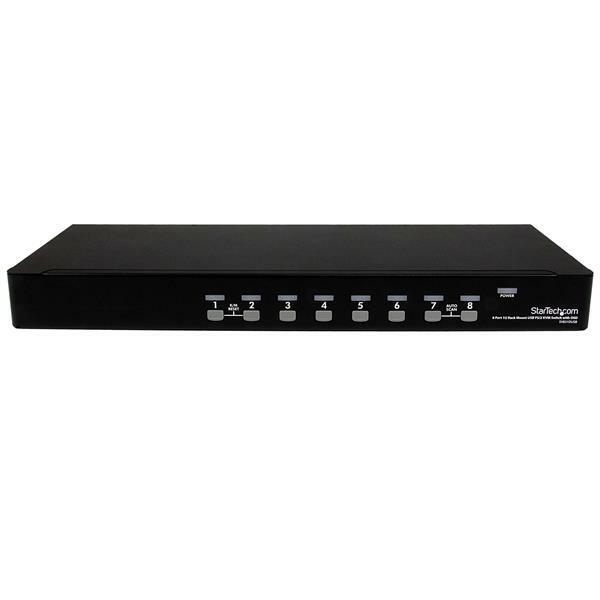 The KVM switch offers maximum control, allowing you to switch computers using hotkey commands or front panel push-buttons, and offers the added convenience of an On Screen Display to quickly access configuration options. 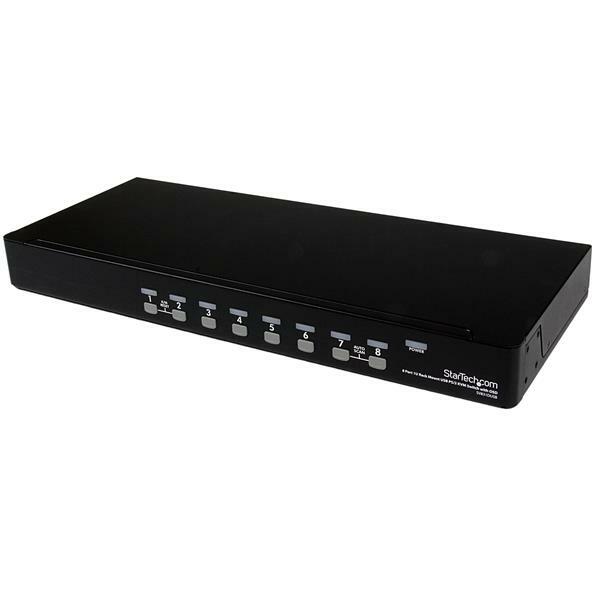 A suitable addition to server room operations, the 8 port switch can be rack-mounted into 1U of cabinet space, and can be cascaded with multiple KVM switches to deliver control of up to 56 computers from this single switch. 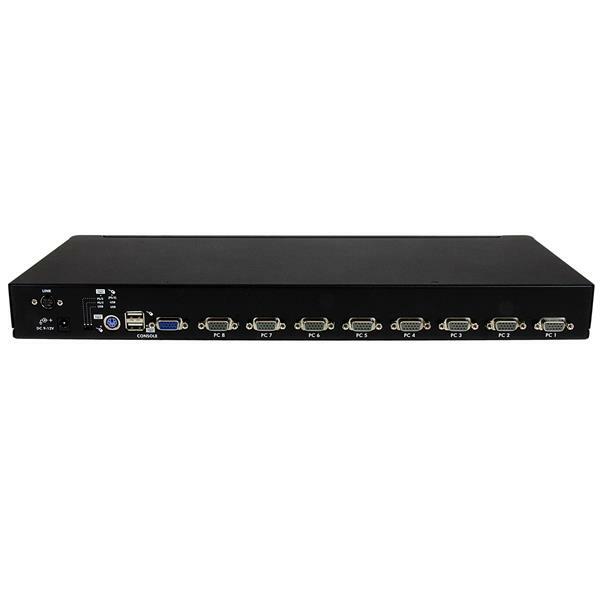 This high quality USB PS/2 KVM Switch is TAA compliant and backed by a StarTech.com 3-year warranty with free lifetime technical support.